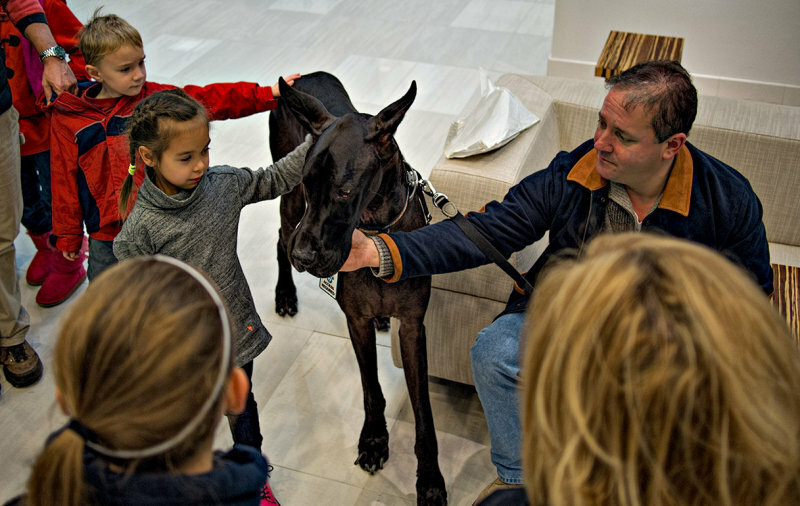 The children are in awe of the big dog. Wonderful photo with the expressions of the children. "V"